City to widen E. William St.
“Look out below” was heard several times Wednesday as preparation of the East William Street widening project began with the cutting down of trees. Crews began to remove trees along the heavily used route Monday, while flaggers kept traffic delays at a minimum. As fast as limbs came down from above, crews hauled them to a tree shredder on East William Street. According to Delaware city officials, the 20,000 daily motorists traveling East William Street between Lake Street and The Point will experience momentary delays over the coming weeks as crews work on the initial phase of a project that will widen one of the city’s busiest sections of roadway. “Traffic will be maintained with flaggers and signs, but delays may occur,” Community Affairs Coordinator Lee Yoakum said. The $4.65 million project, which will create a continuous center turn lane on East William Street from Lake Street to The Point by widening the roadway, aims to reduce traffic congestion for both the motorists and neighbors along the major route through the city while increasing safety. City officials have noted in past discussions concerning the project that the area of East William Street in question is site of frequent rear-end and side-swipe accidents. According to the City of Delaware website, 80 percent of the funds for the project will come from state and federal transportation funds with the city responsible for the remainder of the cost. Preparation work on the project began Monday and continues as crews work to remove 52 trees to make room for the upcoming roadway improvements. Tree clearing starts at 9 a.m. and is to conclude by 3 p.m. to avoid the morning and afternoon peak drive times. According to the city’s website, no trees will be removed from private property at this time, but it might become necessary to prune the ones located on the right-of-way line. 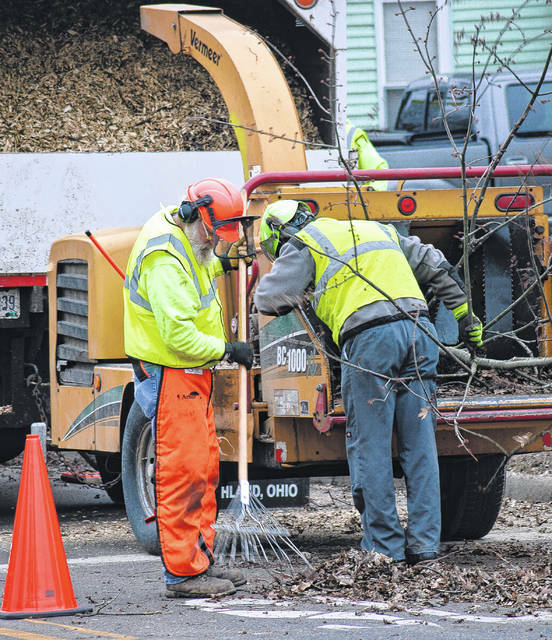 Contractors are instructed to take special care of the trees outside of the right-of-way. Yoakum said to be consistent with city code and City Council practices, once the construction work is completed, the city plans to plant new trees. Easements and new landscaping will include a mix of ornamental trees selected in collaboration with the city arborist. The city’s website outlines some of the project’s details. “The East William Street widening project will provide left turn slots at Richardson, Cheshire, Channing, Anne, Moore and Wade streets, as well as businesses and Conger Elementary School with direct William Street access. It also includes a new Cheshire-William St. signal, improved property drainage and traffic signal operations, as well as new street lighting, trees and sidewalks. Yoakum said the city has a lot going for it, but rapid development the last 20 years has made getting around tougher. “While growth brings benefits like more jobs and fun things to do, it also brings delays, accidents and frustration,” he said. “That’s why city leaders are working hard to fix problems in ways that are smart and cost-effective. “East William Street will look a bit different when the project is completed, but it will be safer for motorists, neighbors and pedestrians,” Yoakum added. https://www.delgazette.com/wp-content/uploads/sites/40/2018/02/web1_DSC_0561.jpg“Look out below” was heard several times Wednesday as preparation of the East William Street widening project began with the cutting down of trees. Crews began to remove trees along the heavily used route Monday, while flaggers kept traffic delays at a minimum. 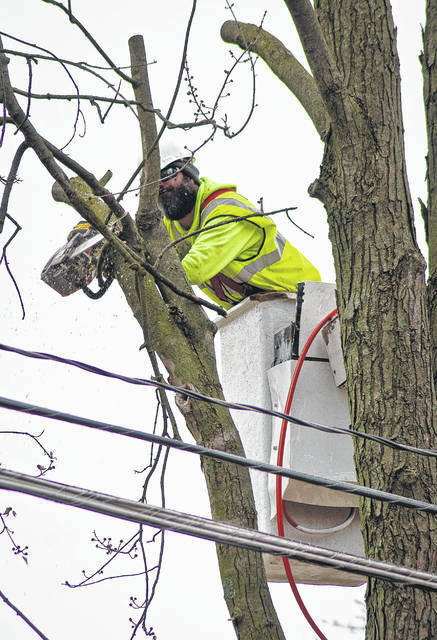 https://www.delgazette.com/wp-content/uploads/sites/40/2018/02/web1_DSC_0577.jpgAs fast as limbs came down from above, crews hauled them to a tree shredder on East William Street.